I went to Mountain View, California for a hackathon. For the uninitiated, a hackathon is where you spend a day or two programming nonstop making a project (hacking as in "hack together something cool", not hacking as in "let's hack into some government databases".) The one I went to was run by Y Combinator, a startup incubator responsible for companies like Dropbox and Shopify. 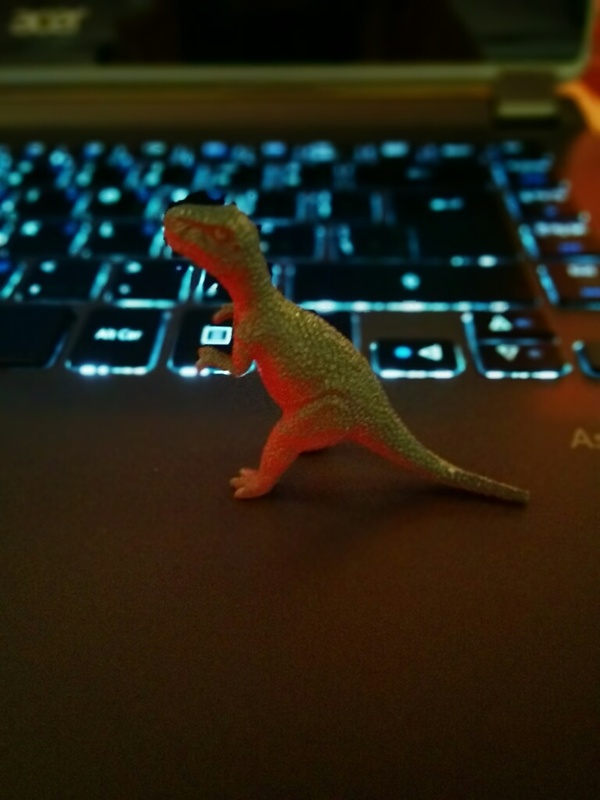 I got a bunch of free t-shirts and small plastic dinosaurs and stuff while I was there from established startups that were there as sponsors. The aforementioned plastic dinosaur, offering me distraction while on a break from programming in the middle of the night. 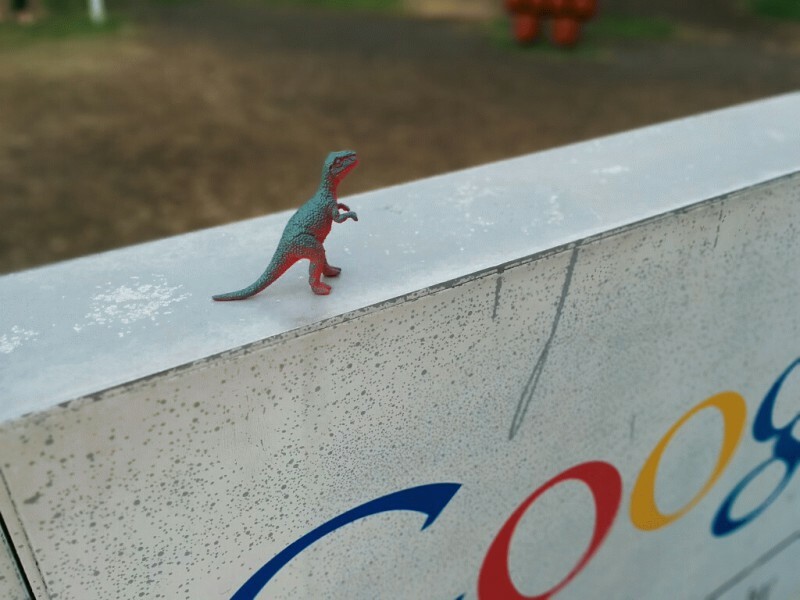 The dinosaur visiting the Google sign in front of the Android building.